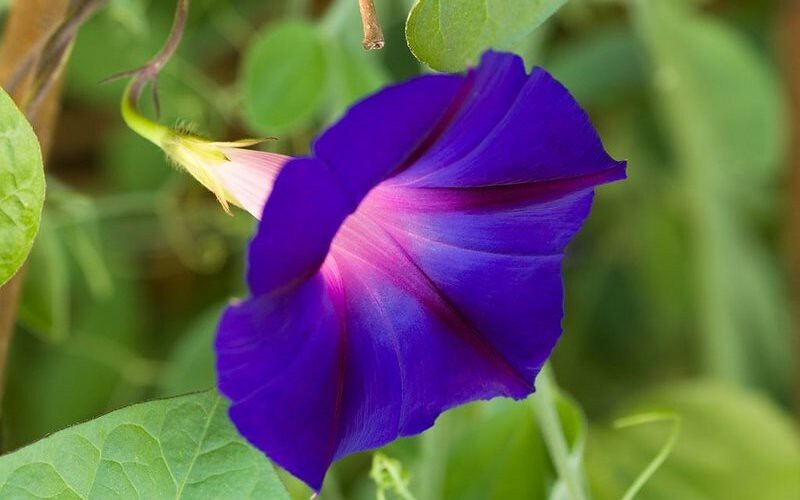 Shankhapushpi (Convolvulus pluricaulis) is a perennial herb and consider as a most wonderful gift of nature to mankind, it looks like a morning glory with blue flowers situated at alternate positions with flowers or branches. Shankhapushpi flowers are found in blue, pink and white in color, it’s about 5mm in size the leaves are located at alternate positions with branches, the flowers are elliptic in shape and about 2mm in size. Shankhapushpi branches are spread around the ground with more than 30 cm long. It is known as Aloe weed in English and a botanical name, Convolvulus pluricaulis. All part of Shankhapushpi herb is known to possess therapeutic benefits and is used as medicine to cure many diseases. Shankhapushpi (Convolvulus Pluricaulis Choisy) herb is commonly found in India, especially in the state of Bihar and Punjab. It generally grows on a sandy or rocky area, under xerophytic conditions in northern India. Convolvulus pluricaulis is generally known in the region around Sind deserts and the Sahara and the area called Saharo Sindian. The herb produces flowers during the months of September and October which can range from white, blue to light pink in color. It is also known by other names such as azulejo, bandera, conchita azul, campanilla, cordofan-pea, choroque, papito, zapotillo, etc. Shankhapushpi is indigenous and considered as one of the very important herbs in Ayurveda. According to Ayurveda, Shankhapushpi is pungent, alternative tonic, bitter, brightens intellect, improves complexion, increases appetite, useful in biliousness, epilepsy, bronchitis, teething troubles of infants etc. It is regarded as alexiteric and tonic to improve memory and to tone the brain. From ancient times in India, people of all age groups (especially students, teachers, and philosophers) always have tried Shankhapushpi. It is also one of the best herbs that are used for enhancing the beauty and helps in nourishing all the layers of skin. Shankupushpam or Bluepea flowers are mentioned in a variety of synonyms in the books of Ayurveda. Shankupushpam flowers and plants are mentioned in most of the old Ayurvedic scriptures for its herbal remedy. The are many synonyms for Shankupushpam some of the common ayurvedic synonyms are aparajita are mohanasi, supuspi, sveta, mahasveta, girikarnika, ardrakarni, gokarnika, sephanda, vishnukrantha etc. Also, the flower is known as oral, malayamukki, Kakkanam etc. The herbal extracts of plants are seen to possess spermatogenic properties, so it can be beneficial in cases of sperm debility. It is used to treat the urinary system ailments. It is known to have cooling effects which alleviate symptoms of vomiting, burning sensations and thirst which are common during fever. Plant extracts can is used for ailments in a respiratory system like cough and cold, it is also used to prevent irritation of respiratory organs as it has expectorant properties. The Herbal extracts of the plant are used for the treatment of Asthma. The Herbal extracts have tranquilizing effects and thus used for syncope, vertigo etc. It is used for nervous system and brain-related ailments. Herbal extracts are also used for treating digestive system and another ailment such as jaundice, constipation, piles dyspepsia, etc. It is also used for treating the circulatory system of blood. It is also used for treating smallpox. The hemostatic effects of shankupushpams are beneficial for piles mostly the bleeding piles. A decoction of this herbal plant is used for cleaning wounds and it has the ability to prevent pus formation. Plant extract is known to use for alleviators of pain and swellings. In Ayurveda, Shankhapushpi plant is also used for the treatment of epilepsy. Plant extract avoids fluid retention in the body and supports digestion. The Shankhapushpi plant extract is well known for treating insanity and hematemesis. The ethanolic extract of Shankhapushpi herb reduces the levels of NEFA define as “nonesterified fatty-acid” which is the main cause of death due to cardiac arrest. Leaves of Shankupushpam plants can be grounded and mixed with salt for applying over swellings. Powder of leaves is also used for treating brain disorders. The leaves of white flower shankupushpams are mixed with salt made into a paste and applied for retroauricular adenitis. The ground leaves mixed with salt is used for applying over swellings. The past of Leaves of white flower plant mixed with salt is used for applying on glandular swellings and cervical adenitis. The fresh leaves juice mixed with ginger juice is an effective remedy for controlling excessive sweating. The powdered leaves are used for treating brain disorders. Leaves of Shankhapushpi plant are used to treat bronchitis and asthma. A gram of Shankupushpam flower powder if taken daily with honey can be useful for uterus bleeding problems. The blue flowers of shankupushpams are used for food coloring for rice and other recipes in some of the Asian region. The roots of grounded shankupushpams are used with ghee or butter, two to three times daily to increase memory and intelligence. The root extracts of shankupushpams are used for eye, throat infections, ulcer, and urinary. For migraine, the root juice extracts are poured through nostrils. The roots of the white-flowered shankupushpams are used as a medicinal paste for skin diseases. Extract of the root is useful to treat throat infections, eye, ulcer, urinary troubles etc. For migraine, the root juice extracts are poured thru nostrils. The root juice with milk is beneficial in sticky phlegm cough and it can also relieve asthma problems. The plant root is an herbal remedy to treat childhood fever. The seeds are fried in ghee and powdered and consumed with hot water for skin diseases. Shankhapushpi plant is used as a remedy for many diseases; it is also one of the most important ingredients used for treating syndromes- disorders such as anxiety neurosis, stresses, hypertension, hypotension etc. Shankhapushpi herbs have the properties that control the production of the body’s stress hormones such as adrenaline and cortisol thus helps in reducing anxiety and stress. The herb has the properties that work as psycho-stimulant and tranquilizer. Due to its memory boosting property Shankhapushpi herb is useful to treat neurodegenerative diseases such as Alzheimer. It has anti-ulcer properties that are helpfulness in ease the symptoms of Dementia, hyperthyroidism and reduces the activeness of a liver enzyme. Shankhapushpi is one of the best and important herbal remedy for improving memory, it is due to its phytonutrients like Scopoline ß-Sitosterol, Phyllabine, Convolvidine, Confoline Subhirsine, Convolving and Congo line. Shankhapushpi is mainly used as a brain tonic and brain stimulator. Daily consumption of Shankhapushpi prevents memory loss. The Shankhapushpi herb is very beneficial in fighting with different types of ulcers which are formed in the body due to mucous secretions and glycoprotein I can also improve the nerve tissues, increasing bone marrow quality and nerve tissues. The plant has anti-ulcer properties, it also has a mucosal defensive element like mucin secretion and glycoproteins. It also has been studied that Shankhapushpi is the best remedy for hypothyroidism. The extract of Shankhapushpi herb helps to decrease the cholesterol level in the blood including phospholipids and triglycerides; it also helps in removing certain types of fatty acids that are harmful to the body. Painkilling or analgesic is one of the important properties of Shankhapushpi plant. These pain killer properties are beneficial in dealing with osteoarthritis, rheumatic pains, arthritis etc. The pain killer effects produced by Shankhapushpi were very similar to morphine induced ones. The thyroid gland is an important gland which controls the function of metabolism in our body by producing thyroid hormones. The excess of thyroid hormones can result in hyperthyroidism disorder. This Hyperthyroidism can be reduced by taking Shankhapushpi extracts on a regular basis. Note: To get the best remedial effect it is necessary that the quality and part of the herbs used must be of best quality. The properties of the herbs may be different from one region to another. Harvest at proper ripening time is yet another important factor for herbal quality. Naturally grown herbs are supposed to be more powerful and effective than the herbs cultivated as habitat plays an important role. I am a senior citizen. I am growing Shankapushpi plant at home. Can eating 1 or 2 leaves help? Or is special extraction required? Thanks for any other information. Thank you for your correction in the picture and taking my suggetion in right direction.